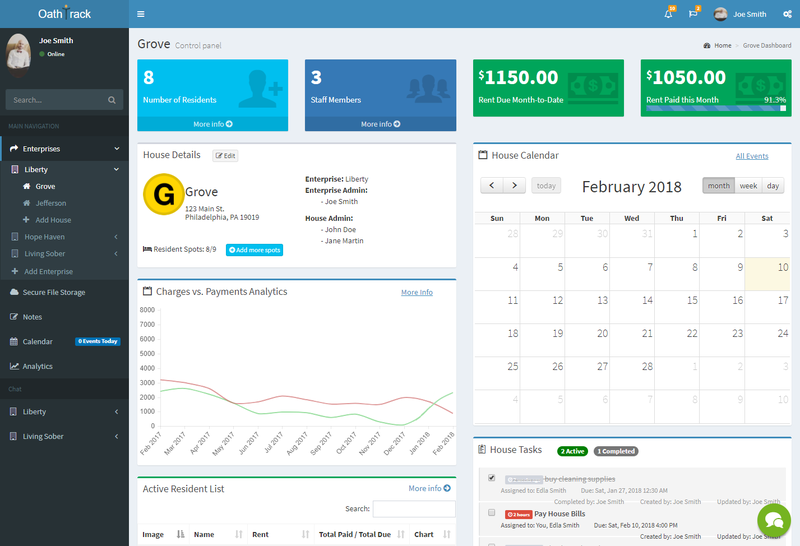 Securely manage your Resident charts and finances with ease. 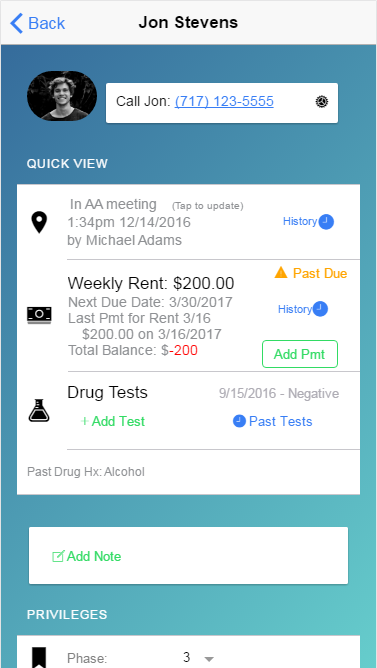 Track their drug tests, charges, payments, and more with fully customizable forms! 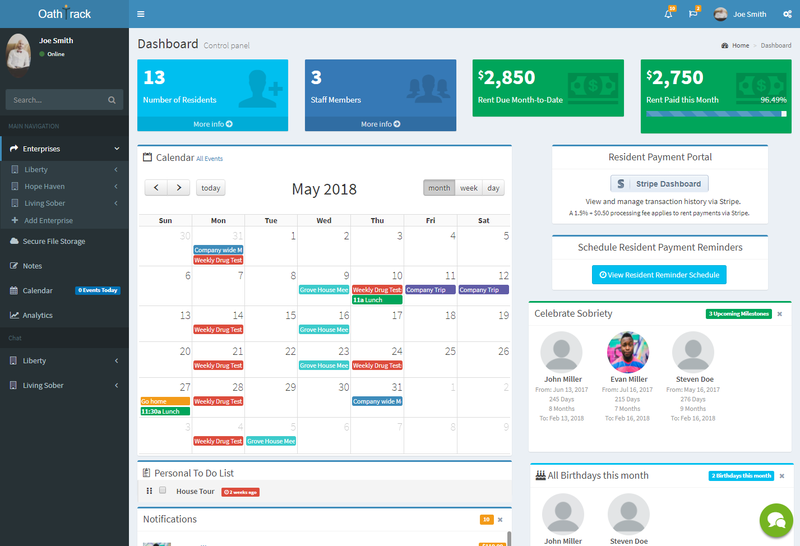 Keep track of House meetings, calendar events, and staff members. No more headaches! 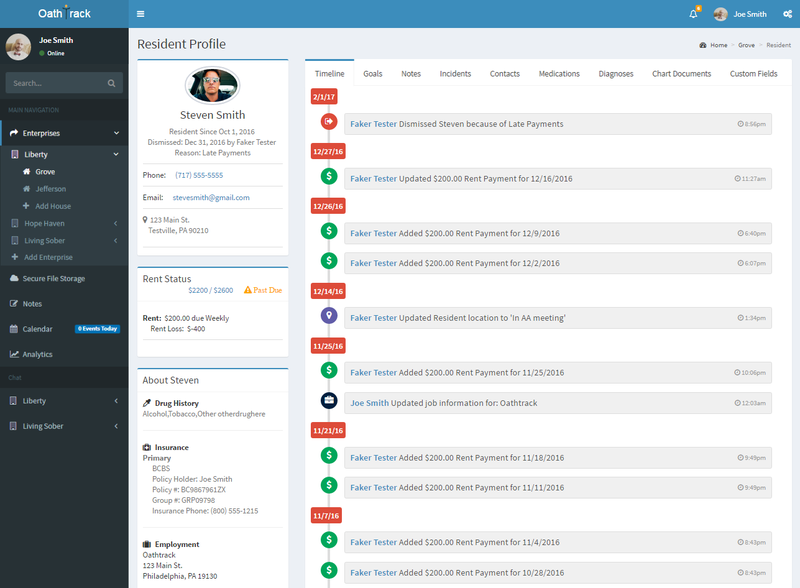 Residents can easily pay their bills online, directly to your house! Customize reminders so they don't miss payments! 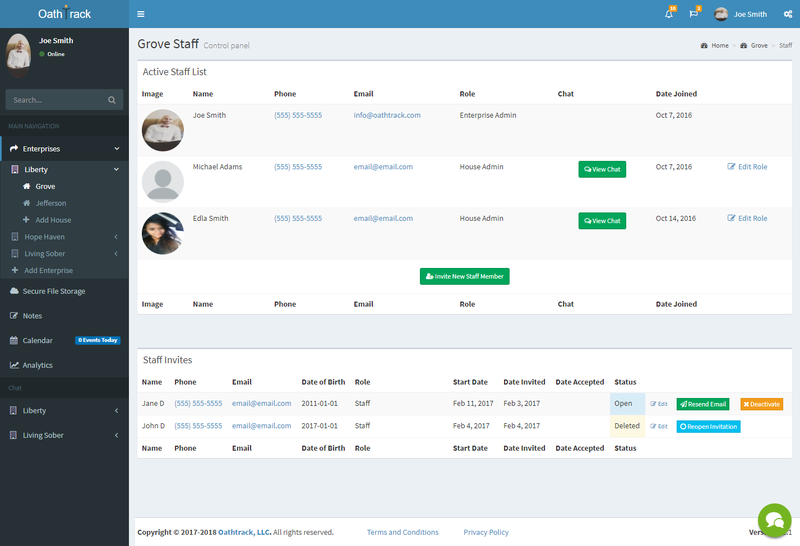 Quickly assign tasks and easily manage and message staff members within Oathtrack to keep everyone up-to-date. 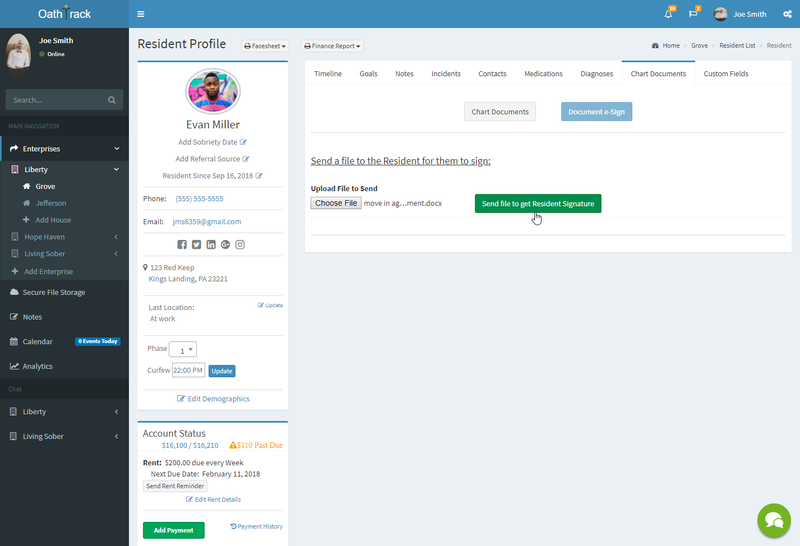 You can even schedule messages to be sent to your residents! Track Resident goals, therapy sessions, meetings, and behavioral notes to improve their recovery. Secure and efficient recordkeeping, document e-signatures, and unlimited document storage. Resident signatures on documents now only takes a few seconds! 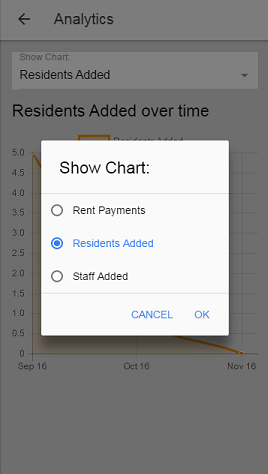 Send documents to the Resident directly from their chart. 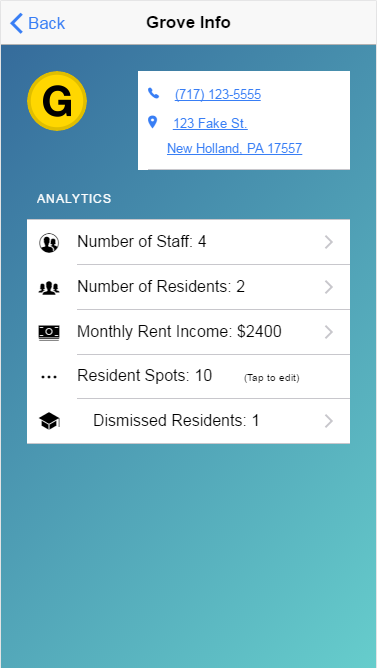 Get a great overview of your Houses, Events, Staff, and Residents on your main dashboard. 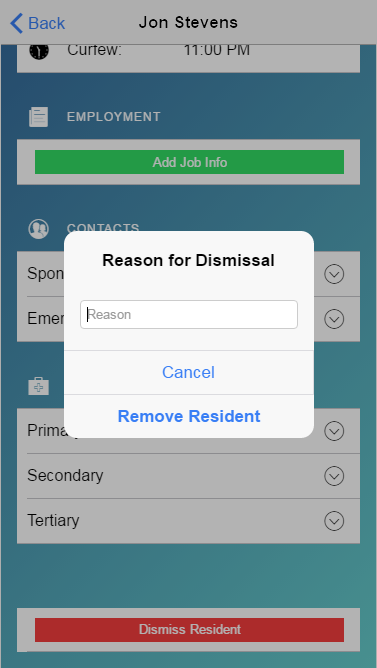 View all of your active and dismissed Residents and their current status. Schedule messages to be sent to your Residents and get read receipts! 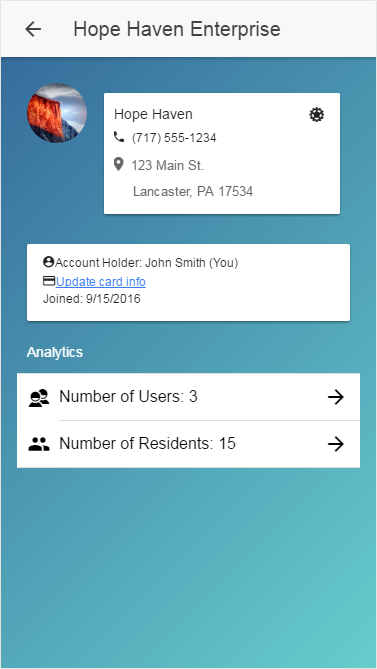 Easily record and maintain details regarding your current Residents. 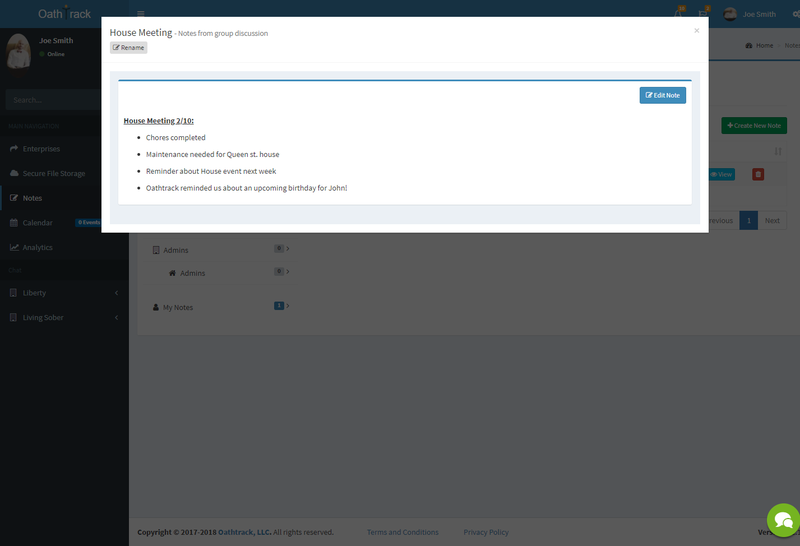 Resident signatures on documents now only takes a few seconds! 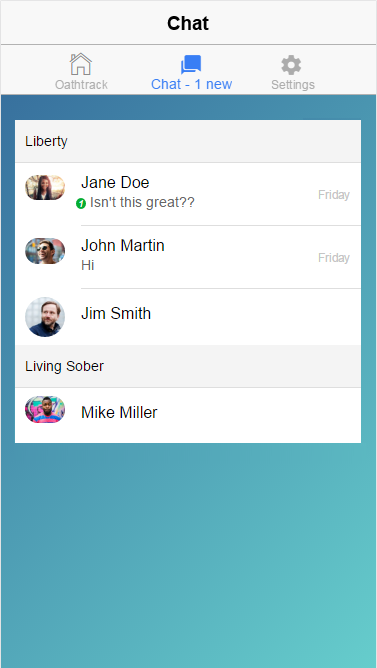 Send documents to the Resident directly from their chart. 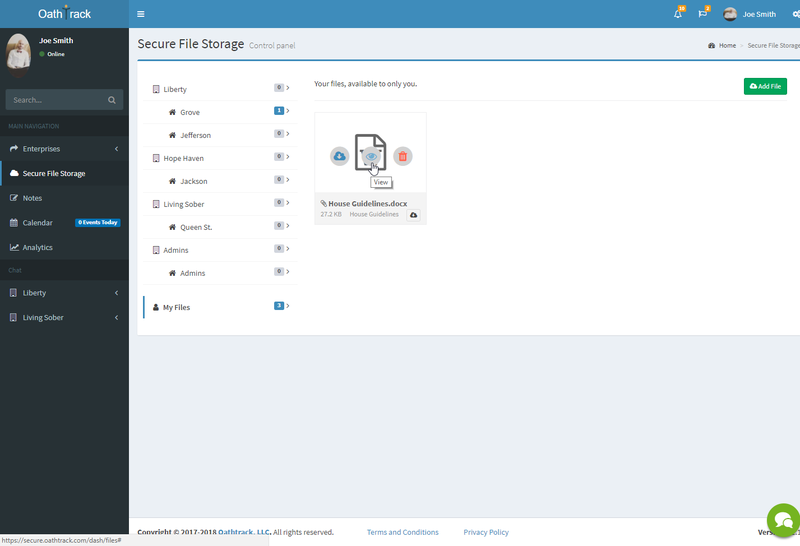 Unlimited secure storage to keep and share documents. 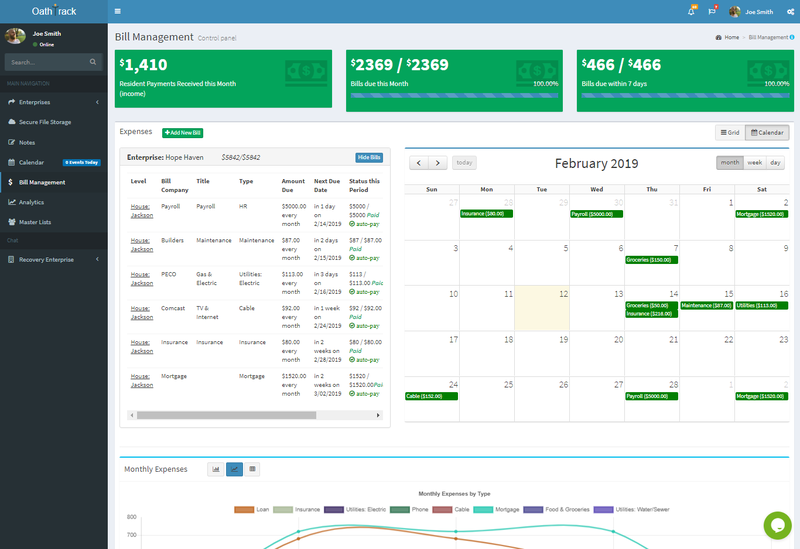 Breathe easily and get a better holistic view of your organization by quickly tracking any expenses and bills. Create private notes or collaborate with your Staff with shared Notes. 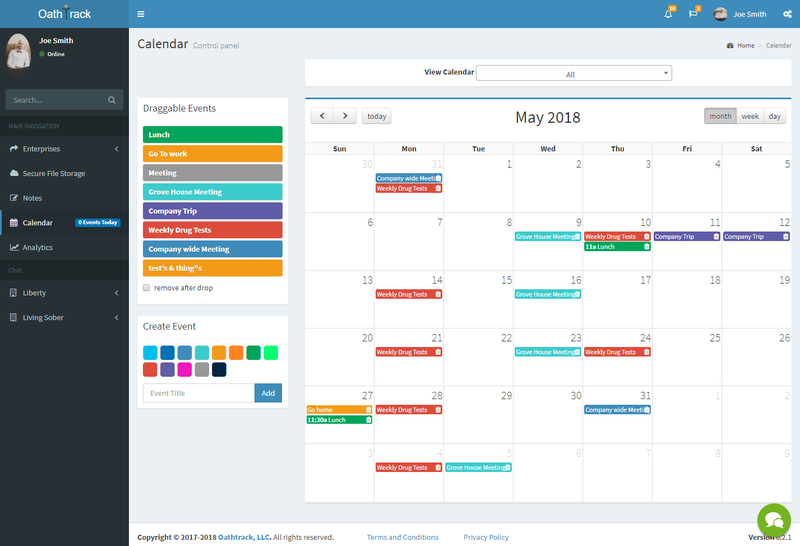 Drag and drop events to your House Calendar to keep your Staff up-to-date! Maintain information of all your past Resident Alumni. Informative Charts to show how your houses are doing over time. 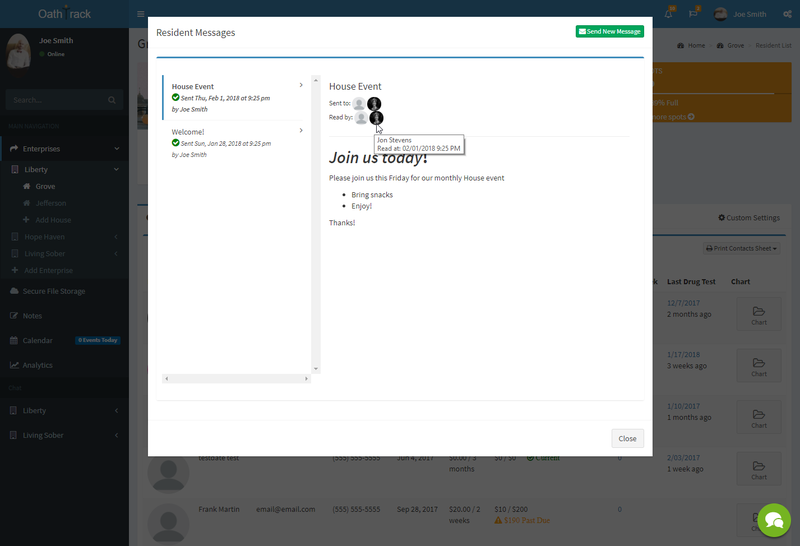 Invite all your Staff members to join for free! 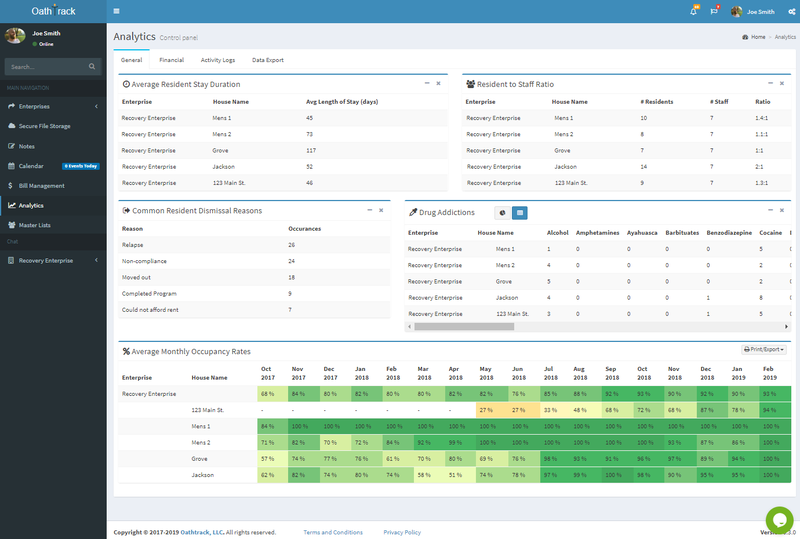 Get a great overview of your House, Events, Staff, and Residents on your individual house dashboards. - Recieve notifications of any House or Resident Spot additions, and can deny any changes. 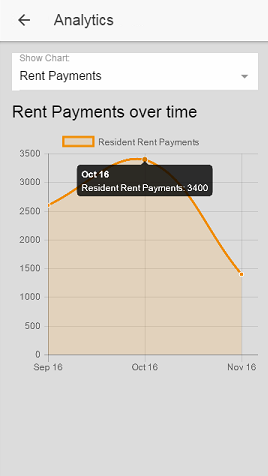 - Access to Oathlytics: Charts analysis of Rent Payments, Resident adds/removals, and more! 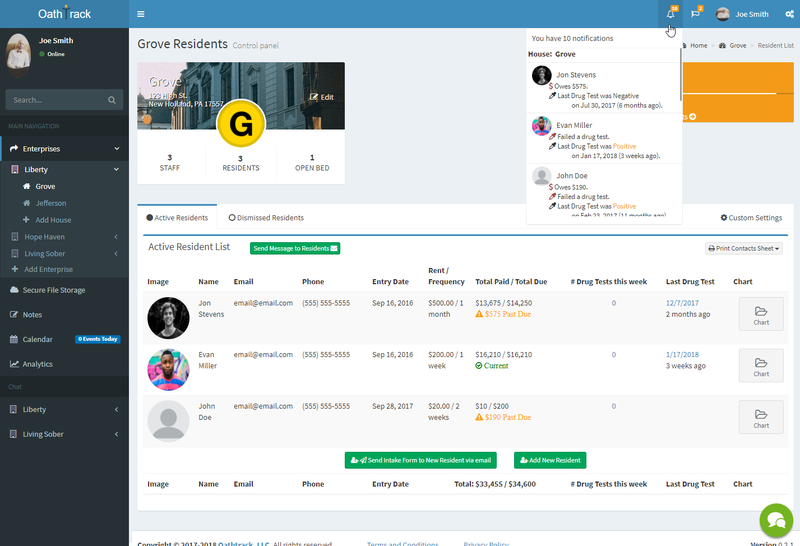 - Analyze and Review Residents, Staff and more! Check your email for your account activation link. * What is your Enterprise/Company Name? * What is the name of your House?